I spent Saturday morning dodging raindrops as I visited two different clients regarding their landscapes. The rest of the day, I spent indoors just thinking of how much my garden is enjoying this rain. You may not realize that rain water is much better for your plants then the water that comes from your hose or drip emitters. Our water is somewhat ‘salty’, which is a result of its journey down the Colorado river and all the rock it passes by. Plants do not like salt much and a heavy rain will help flush the salts away from the soil. 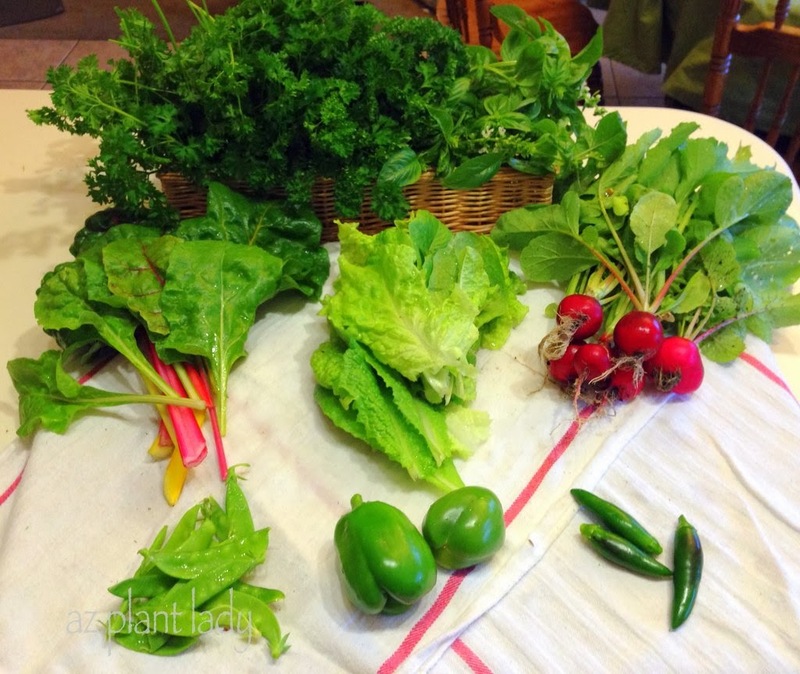 As the sun began to peek through the clouds this afternoon, I ventured out into the garden in order to harvest some lettuce and Swiss chard for our dinner. A small sampling of today’s harvest. 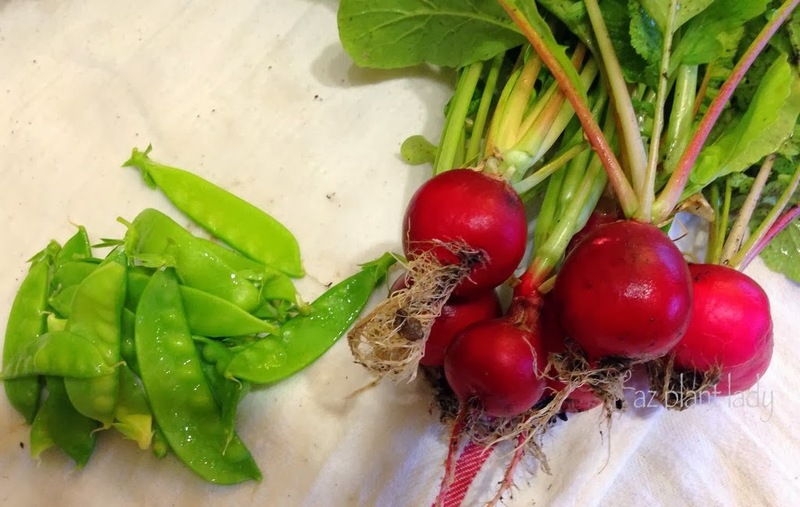 It had been a while since I had taken a good look at my vegetable gardens and there was quite a bit more to harvest then I had expected. 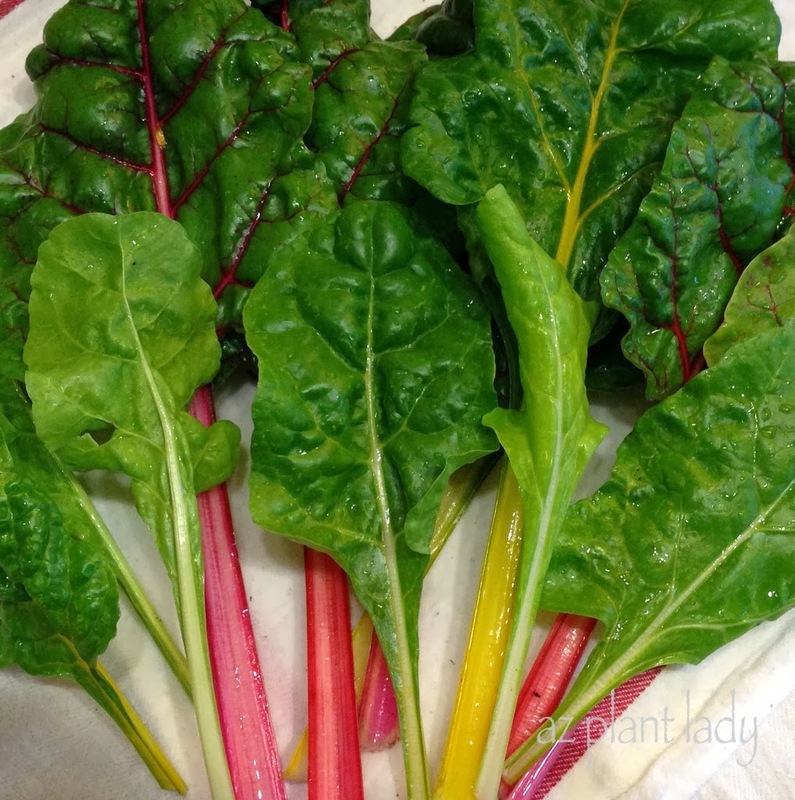 I am rapidly falling in love with Swiss chard (yes, I said ‘love’). While I do not like cooked leafy greens, I have been surprised at how delicious raw Swiss chard is in salads. It also adds a nice bit of color with its red and yellow veins. Sugar snap peas are covering their vines, but it is hard to find them all since they blend in so well with the leaves. I plan on serving them on our veggie tray Thanksgiving morning. Right now, I have more radishes then I know what to do with. But, we had 5, thinly sliced radishes in our salad. In addition to thinly slicing them, I also quarter them so that my kids will eat them. 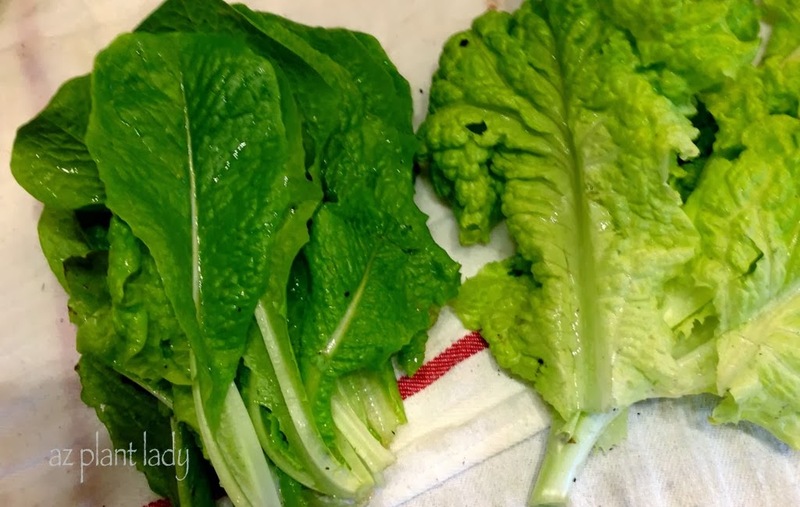 Two of my favorite types of leaf lettuce – Romaine and Black-Seeded Simpson. I have had some problems with caterpillars eating my lettuce, so I will head out tomorrow with my spray bottle of BT (Bacillus thuringiensis). Fall is the best time of year for all of my pepper plants. While they can handle hot temperatures, they don’t flower during the height of summer. 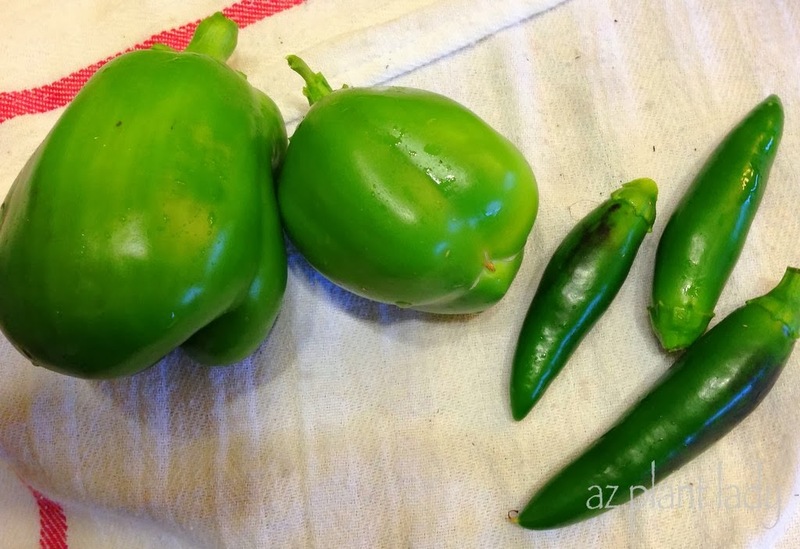 Once it begins to cool down in mid September, flowers appear again followed by peppers. Sadly, once the first frost occurs, they will stop producing and will often die. Last year, I was able to save my bell pepper plant by covering it when temps dipped below freezing. I have a ton of bell peppers and jalapeños. I will dice them up and place them in freezer bags so that I can enjoy them throughout the winter months. 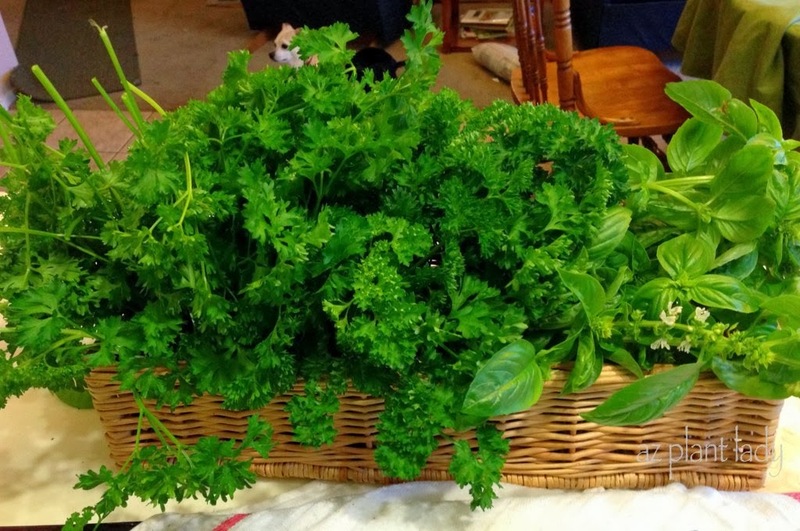 I discovered that I had a lot of parsley growing and I only harvested about half of it. While parsley will last through the winter months, my basil won’t survive the first frost. So, I picked some basil too. I plant to dry my basil and parsley. Once dry, I will crush the leaves and put them into spice jars. Drying herbs is easy and you can learn how to do it here. The remainder of the fresh parsley that I have growing outdoors I will harvest on Thanksgiving to use as a garnish for a few of my favorite dishes. While I spent part of this afternoon harvesting vegetables, I noticed that I still have not thinned out my carrot seedlings. Oh, they will still grow if I don’t thin them, but what I will get in return are small carrots not worth eating. So, I’ll grab a pair of scissors and head out into the garden and snip off the extra. Have you put your garden to bed for the winter or do you still have things growing in it? Who Needs Jewelry For an Anniversary When You Can Get a Cactus?